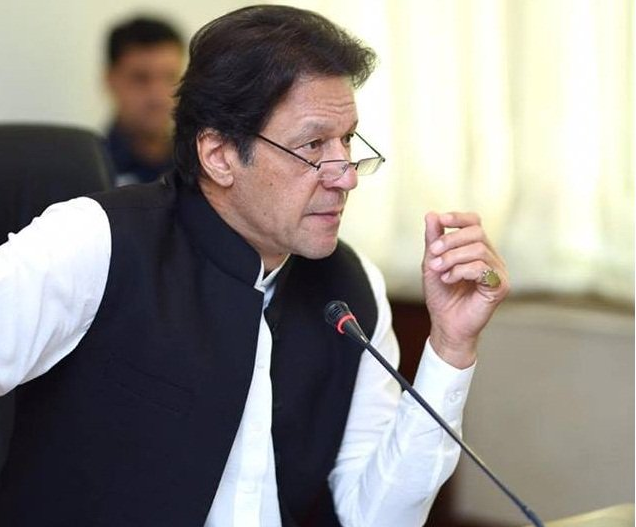 Prime Minister Imran Khan will pay a two day visit to Qatar from today, on the invitation of Amir of Qatar Sheikh Tamim bin Hammad Al Thani. During the visit, the Prime Minister will call on Amir of Qatar and hold meeting with his Qatari counterpart to discuss issues of mutual interest. The Prime Minister will also discuss the issue of export­ing Pakistani manpower to Qatar. A two-day Pak-Qatar business confer­ence being held on January 28 at Doha, the capital city of Qatar state. The delegates related to textile, chemicals ,pharmaceuti­cal ,electronics and construction industry would participate in the two-day confer­ence that aims to further strengthen the linkage between Pakistan and Qatar busi­nessmen community. Pakistan has not only huge untapped potential of exports but at the same time it’s growing market with population of around 200 million, offered excellent opportunities for bilateral trade. BREXIT, CPEC,TAPI etc have been chang­ing the international scenario. Countries have been gathering on different platforms making coalition to cope with the upcom­ing challenges regarding security, econom­ics and technology. This would reshape the world in the future. In the Muslim world Pakistan has a piv­otal role in enhancing relationships with Muslim countries. Pakistan always tried to tie stronger knots between Muslims countries. Amongst these countries Qatar has a very prominent place. Qatar shares warm and brotherly relationship with Pakistan. Qatar has helped Pakistan to come out of very problematic circumstances like floods in 2010. There are thousands of Pakistani professionals serving in Qatar. On the national day of Qatar, Ambassador Saqr Al Mubarak said both the countries are enhancing cooperation in energy sec­tor. The ambassador further elaborated that Qatar will provide jobs to one lac Pakistanis, and education to Pakistani children over there in Qatar. Pakistan and Qatar have agreed to work together in different fields like energy sec­tor, telecom, oil and gas sector. Various agreements are signed and trade volume has been multiplied between both countries due to LNG supply agreement. There are huge number of Pakistani com­panies and many shared companies have been working in Qatar. Qatar and Chinese companies are in­vesting in the CPEC also. Qatar should also partake in industrial development in Pakistan. On the other hand Qatar is also facing challenges keeping an eye on international situation specifically regarding agenda of Arabian countries which is impacted by US against other Muslim countries as well as the challenges regarding jointly run oil fields in so called neutral zone. Qatar had promised 100,000 jobs for Pakistani workforce, Pakistani skilled labor force will also be employed in the 2022 FIFA World Cup, also be utilized in other major ventures such as construction projects in Qatar. Most recent development regarding Pak- Qatar relations is that Pakistan and Qatar have agreed to enhance bilateral coopera­tion in various fields, including trade, edu­cation, and transport. This understanding was reached during multiple meetings of Foreign Minister Shah Mehmood Qureshi with Qatari leadership in Doha. Qatar is an important country of the region and it has always supported Pakistan’s stance over Afghan reconcili­ation process. The Qatari Deputy Emir appreciated Pakistan’s efforts for peace and stability in the region. Shah Mehmood Qureshi also held a meeting with Qatari Prime Minister Shikeh Abdullah bin Nasser bin Khalifa Al Thani. The Pakistani manpower has contributed in the progress and development of Qatar, and in this regards Pakistan can offer the services of skilled, semi-skilled and un-skilled Pakistani workers to meet the re­quirements of Qatari job market. Port Qasim Coal fire power plant, a 1.5 billion dollars project is the first joint ven­ture in CPEC between Power China, such more projects can also be initiated to in­clude Qatar in game changer project CPEC. Published in The Asian Telegraph on January 21st, 2019.